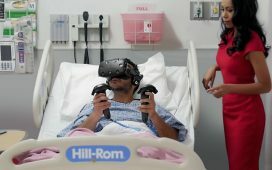 STRIVR has secured $16 million in funding to expand its virtual reality training platform to serve top corporate needs. STRIVR, the virtual reality training platform used mainly by clients in the world of professional sports (NBA, NFL, NHL) to develop immersive training programs, has successfully raised $16 million. The leading investor is GreatPoint Ventures, whose Managing Partner, Ray Lane, will join STRIVR’s Board of Directors. Immersive training is not only useful to professional athletes. 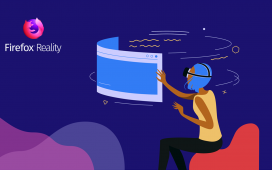 Fortune 500 companies and the corporate sector in general are more and more interested in developing virtual reality training programs for their employees. As previously reported, Walmart has already concluded an agreement with STRIVR to develop a VR training program for the US retailer, which will be deployed using over 17,000 Oculus Go VR headsets. Virtual reality training helps employees retain information easier and become more productive. Also, as Tyson Foods discovered, using VR training also helps decrease work related injuries and illnesses. “Better training results in better prepared employees and better prepared employees make fewer mistakes and are more productive”, explained Danny Belch, VP Marketing at STRIVR. Apart from Walmart and Tyson Foods, STRIVR has already started working with several other enterprise customers, such as JetBlue and United Rentals. Their specific needs for immersive employee training programs prompted the virtual reality training platform to seek financing in order to expand its operations. California-based STRIVR has recently opened offices in New York, Seattle and Nashville, TN. The decision is motivated by the need to be closer to potential clients, in cities where new technologies are thriving and in great demand by clients across various industries.